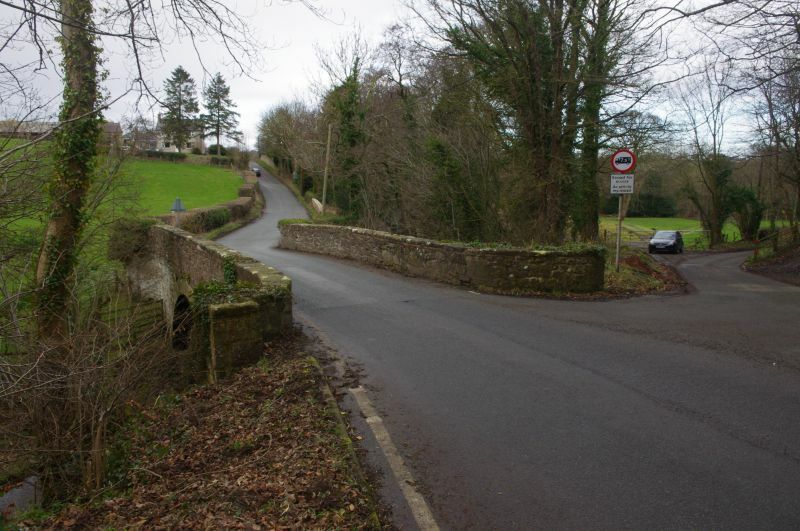 Location: Road bridge over the River Terrig at the boundary between the Nercwys and Treuddyn Community Council areas. Late C18/early C19 single-span rubble bridge. Wide arch with projecting dressed stone voussoirs and a plain string-course. Stone coping to rubble parapets with swept returns on both sides, terminating in butresses. The parapet has C19 and early C20 incised drawings and graffiti. Included as a good well-proportioned period bridge. To the SE of Nercwys village. Situated off Ffordd Nercwys to the E facing its own farmyard. Located at the end of a long track to the L of a lane leading off Ffordd Nercwys to the E, at the S extremity of the community council area. Located on the north-west side of a lane which connects Ffordd Nercwys and Ffordd Carreg-y-Llech. Immediately to the W of the farmhouse forming the S side of the farmyard. To the S of Nercwys village. Located on the S side of a lane leading off to the W at the lower end of Fordd Nercwys, and set back behind a dwarf-walled front garden. To the S of the House, at the end of the formal, yew-hedged lawn. To the W of Nerquis Hall at the end of an orchard, and close to the road.